Artistic Land : Will Power is the Strongest Power. This photograph is one moment from the life of “Faith”, the two legged dog. 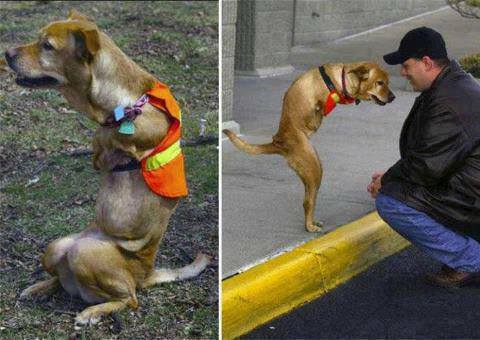 This doggie was born with deformity and when it was seen that even its mother was abandoning and harassing the little creature, the String fellow family adopted the puppy from roadside. When Veterinarians advised to Euthanize the animal, the owner Jude took a bold decision to inspire the dog to live a dignified life of its own by encouraging the dog to walk on two legs. Added to this attempt from the owner and her family, it is this little ones will power and survival instinct that has lead the animal to gain the respect of humans….! !